Every region has its watershed—the area in which all the water flows toward a dominant river and defines the character of its ecology—and each watershed, on its way out to sea, speaks its own poetry. In these times of ecological crisis we ought to listen to the voice of our habitats. We can join in through poetry, becoming consonant with our places on this Earth. The shape of our tongues—the way the sounds roll off like rivers or scrape through our throats like stones—take on the form of the geography we inhabit. 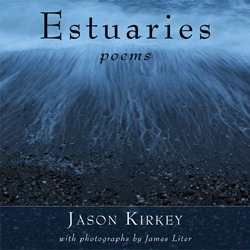 The poems in Estuaries are accompanied by the photography of James Liter, many of which were taken just for the occasion of this book. In presenting the poems alongside these photographs it is not my intention to usurp the images of the poem or the reader’s imagination but to complement them and engage at least one more of the bodily senses. Much like an actual estuary they are the meeting of two forms of art. 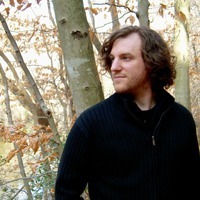 You can enjoy both the poems and photographs as independent creations or you might view them as a single biome. Just as there are a variety of ways to experience an ecosystem, there are many ways in which Estuaries can be read.